Debt recovery in Nigeria: What to do if your creditor resorts to self-help or chases you with the police - Law Firm in Nigeria - Lawyers in Nigeria. Law Firm in Nigeria – Lawyers in Nigeria. Trademark Lawyers in Nigeria, Patent Attorneys in Nigeria, Immigration Lawyers in Nigeria, Intellectual Property Law Firms in Nigeria, Admiralty, Shipping and Maritime Law Firm in Nigeria. If overdue debts are standing against your name and you are unable to settle, chances are that your Creditor may resort to self-help as a countermeasure for debt recovery or to get you to pay-up. Self-help measures may include: use of menacing threats, violence, bodily harm, malicious destruction of goods or property, and/or your arrest and detention by the Police at the creditor’s behest. For starters, you must endeavor to settle all outstanding debts as and when due to maintain a good relationship with your creditor and to avoid embarrassment and harassment by your creditor or the Police. However, if you simply cannot pay up due to a breach of contract by your creditor, you need to talk to a lawyer to help you prepare for a setoff or counterclaim or to initiate an action for breach of contract against the lender/vendor. However, if you are facing cash-flow problems, your lawyer can help you negotiate the restructuring and the rescheduling of the debt with your creditor to allow you a light and easy installment payment plan. As a debtor, note that your receipt of a Letter of Demand by your creditor/vendor or through his lawyer is indeed a pre-action notice for a debt recovery action in Court. You should talk to a lawyer before responding to such Letter of Demand in order to avoid legal liability for the debts due, otherwise, your reply letter may be used against you at the Court hearing. Failure to repay overdue debts is a civil wrong and not a criminal act. The Police and other security agents, therefore, have no power under the law to arrest, prosecute or to take any action against a person for failure to pay debts. The court frowns at any self-help or extra-judicial step by a creditor to recover a debt. Where your creditor resorts to self-help or uses the police or any security agents against you, you should talk to a lawyer. Your lawyer, depending on the circumstance of your case, will commence a court action for the enforcement of your fundamental (human) rights including release from detention, and for liabilities for assault; battery; false imprisonment; constitutional rights abuse against the creditor and the Police; and get compensatory monetary damages awarded by the Court in your favour. It must be understood that this article is for general informational purposes only and not a substitute for legal guidance. 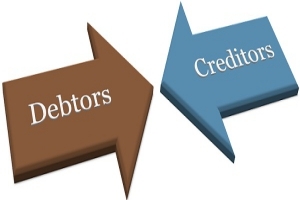 If you are considering any step to protect you from creditor’s countermeasures for debt recovery, seek proper legal advice and help from a legal practitioner. For a review of your case, request in-office consultations on – Tel: +2348187019206, 080397975959 | Email: edoabasi.udo@lexartifexllp.com | Website: www.lexartifexllp.com. EdoAbasi Udo is a Barrister, Solicitor and Transaction Adviser at Lex Artifex, LLP. The permission given to freely copy this article is only on the condition that BARR. EDOABASI UDO is referenced and duly acknowledged as the Author using the following format: “This article was written by Barr. EdoAbasi Udo. 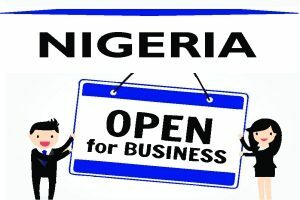 View the original article at http://lexartifexllp.com/debt-recovery-in-nigeria/”. Note that any copyright infringement shall be punishable under applicable law. Lex Artifex LLP., provides a wide range of timely and cost-efficient integrated legal solutions to its clients both internationally and in Nigeria. The firm’s practice areas include corporate and commercial law, regulatory compliance, due diligence, real estate, joint ventures, mergers & acquisitions, investment advisory, taxation, company secretarial services, debt recovery, shipping & maritime, immigration, intellectual property, estate planning and probates, and employment law.